Arginine is critical for protein synthesis, production of nitric oxide (fundamental for cardiovascular health), and proper function of the urea cycle. Each capsule contains 500 mg. of highest quality, pure Arginine-HCL (Elemental). DIRECTIONS: Take 1-6 capsules, or as needed, of Pure L-Arginine-HCL (Elemental) per day on an empty stomach with water or fruit juice. Vitamins and minerals are necessary for proper metabolism, and B-Complete (or B-Long) and Vita-Minz Plus are recommended. For vascular health, and high blood pressure, Pure L-Arginine-HCL (Elemental) may be combined with Cardio-Care, Vaso-Lene and Cir-Cu-Care to increase nitric oxide production and maximize total endothelial support. **Those with active Herpes (genital or “cold sores”), or elevated titers to the herpes virus, EBV, Mono or similar viruses should take additional Lysine to maintain the proper Lysine/Arginine balance of at least twice the amount of Lysine to Arginine ratio. • Promoting protein synthesis and anabolic activity for those with surgical stress, trauma, sepsis and catabolic conditions. • Anabolic response for athletic physique. Arginine is synthesized in the intestinal tract from Citrulline, and its major food sources are nuts, (peanuts, cashews, almonds, walnuts and pecans) although it is also abundant in chocolate, carob, and edible seeds. 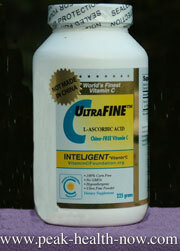 It is the precursor for Ornithine and is a vital part of the urea cycle, being involved in the detoxification and elimination of ammonia. 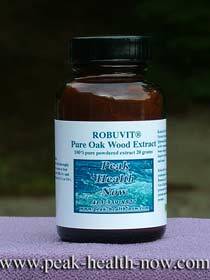 It is also important for Nitric Oxide production, (necessary for endothelial health and vasodilation), protein synthesis, wound healing, immune function and has a secretalogical effect on hormones. Eighty percent of seminal fluid is made of Arginine, and it plays a role in the reproductive system of females as well. It is also a precursor required to synthesize polyamines, which are required for growth and function of all healthy cells. Those with Herpes and similar viruses should take additional Lysine to maintain metabolic Lysine/Arginine balance. Since it competes for absorption with Lysine, the Lysine supplements should be administered approximately 1-1/2 hours after Arginine supplementation. 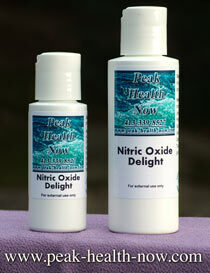 • Nitric Oxide (NO), a small molecule synthesized from Arginine in the body, is the endothelial relaxing factor (EDRF). It plays an essential role in the regulation of vascular homeostasis, and modulates cardiac contractility, regulates vascular tone, and helps in preventing vessel injury and Atherosclerosis. Studies at major universities support the importance of Nitric Oxide, and its role in the endothelial-vascular system of the body, as well as the effects of Arginine supplementation on normalizing high blood pressure levels and its potential to lower cholesterol and LDL levels. • Recent studies suggest that damage from hypertension, high cholesterol and other coronary heart disease factors, impairs the ability of the endothelium to produce necessary Nitric Oxide. When plaque builds up, the blood supply to the endothelial cells gets blocked and also prevents the production of Nitric Oxide. After many years of plaque accumulation, Atherosclerosis occurs. These recent medical studies suggest that Arginine supplementation can begin to reverse this process by helping to restore endothelial cells that have been damaged, and increase their ability to make Nitric Oxide. 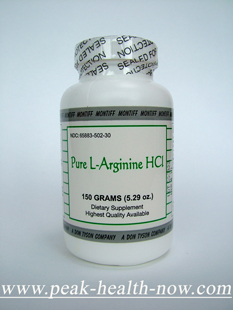 Arginine stimulates the production of polyamines, which are necessary for healthy cell function. It also appears to improve T-cell activity, and after just three days of Arginine supplementation, patients in one study were observed to have a dramatic improvement in T-cell mitogenesis with improved function of T lymphocytes. Studies of Arginine supplementation with postoperative patients and those with sepsis and trauma have shown increased healing capacity due to improved immune function. Patients who were administered Arginine had a reduction in infections and experienced reduced hospital stays. Arginine acts as a free radical scavenger, and preliminary studies indicate it inhibits tumor induction by many carcinogenic chemicals. It may be due to immune function stimulation, including stimulation of Tlymphocytes, which are natural killer (NK) cells. The effect of Arginine in the production of polyamines may also be crucial. Arginine stimulates both growth hormone secretion and insulin production, and has an anabolic effect on muscle tissue. The use of anabolic steroids by many athletes may result in hypertension and hypercholesterolemia causing damage to the cardiovascular system. Arginine supplementation may create the athlete’s desired anabolic results without the negative effects on the cardiovascular system caused by these drugs. Since Arginine stimulates the production of NO (nitric oxide), supplementation may help reverse the endothelial damage for those who have been on steroidal drugs. • Montiff supplies the highest quality, pure L-Arginine-HCL (Elemental, or active Arginine). • L-Arginine-HCL, a stable molecular form of Arginine, helps provide hydrochloric acid, which is necessary for proper digestion. 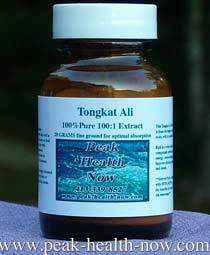 This prevents stomach irritation, which is possible with the “base” (alkaline) form of Arginine found in other many other companies’ products. • Cynober, Luc (edited by), Amino Acid Metabolism and Therapy in Health & Nutritional Disease, 1995. • Di Pasquale, M, Amino Acids and Proteins for the Athlete, the Anabolic Edge, 1997. • Latifi, Rifat, M.D., Ami no Acids in Critical Care and Cancer, 1994. • Lowell J, Parnes H, Blackburn G, “Dietary Immunomodulation: Benef. 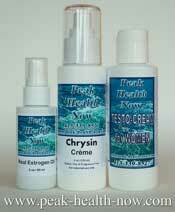 Effects on Oncogenesis and Tumor Growth”, Crit. Care Med., 1990. • Fryburg D, “NG-Monomethyl-L-Arginine Inhibits the Blood Flow but not the Insulin-like Response of Forearm Muscle to IFG-1: Possible Role of Nitric Oxide in Muscle Protein Synthesis” J. of Clin Invest.., 1996. • Panza, Julio A, M.D., and Cannon III, Richard O., M.D. edited by, Endothelium, Nitric Oxide, and Atherosclerosis, 1999. • Korbut,R., PhD.,Bieron, Krzysztof, Bieron, M.D., Gryglewski, M.D.,D.Sc., N.Copernicus Univ, School of Med,. ”Effect of L-Arginine on Plasminogen-Activator Inhibitor in Hypertensive Patients with Hypercholesterolemia”, “New England J. of Med., Jan. 1993. • Chowienczyk, P.J., Watts, G.F., Cockcroft, J.R., Ritter, J.M., “Impaired Endothelium-Dependent Vasodilatation of Forearm Resistance Vessels in Hypercholesterolemia”, “The Lancet”, 1992.